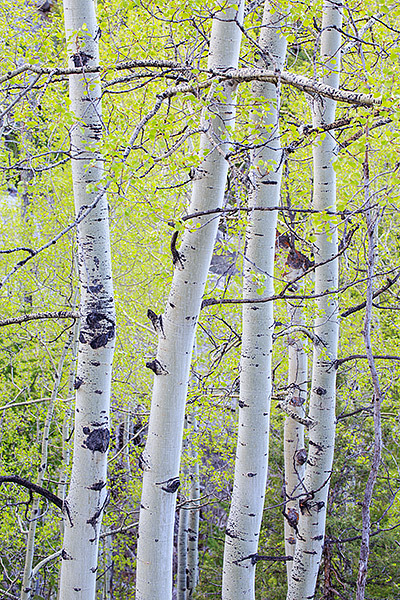 Spring aspens show off there newly leafed spring greens along the trail to Gem Lake. Aspens trees are common in the Lumpy Ridge area of Rocky Mountain National Park and can be found setting up shop in the nooks and crannies of the numberous rock formations found in and along Lumpy Ridge. Photo © copyright by Thomas Mangan.